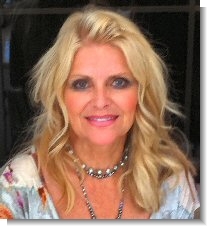 I have been in the hair salon business for over 25 years and love it! My newest passion is hair extensions. Come see me for a free consultation. I enjoy creating an atmosphere that allows clients to relax and have a memorable experience, and especially feel pampered. My goal is to really understand you and your lifestyle. I want to know about all the struggles you have with your hair and your dream of the ideal look you want. Have you always wanted that perfect blonde or dramatic dark hair with carmel accents or beautiful reds? What about shiny glossy hair, smooth hair, gorgeous Victorian curl, or have you always wanted longer, thicker hair? I have researched products that enhance wellness. For example, I use a color line that has NO ammonia! Your hair will actually be healthier after a color treatment. Appointments are recommended to assure availability. However, I will gladly take a walk-in if time permits. Consultations are free! Text or call 262-719-2248 to schedule.